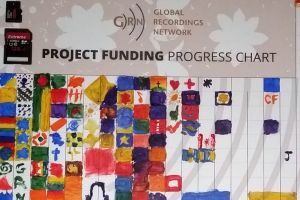 Global Recordings Network Australia is a non-profit missionary organisation. God is the source of all we need, and he uses various channels to supply our needs. Our main 'strategy' for raising funds is to bring our needs to the Lord in prayer. We do not make appeals for funds. We are thankful that God moves the hearts of his people to give money to enable us to carry on the ministry. We are also thankful that God has provided us with some investment income which contributes towards meeting our financial needs. Through our monthly news and prayer diary, and other appropriate means, we inform people of the financial and other needs of the ministry. We invite our praying partners to pray with us for God to meet those needs, and we explain how people can contribute. It is also our desire to honour God by testifying to his provision. As a service ministry, the mission generally supplies its ministry resources at or below cost. All donations to the mission are receipted and acknowledged with a letter of thanks to the donor, unless the donor says a receipt is not required. Financial reports are presented bi-monthly to the Board of Directors. Every year the financial statements are audited, presented to the Corporation at its Annual General Meeting, and submitted to the Australian Charities and NFPs Commission. GRN Australia meets all requirements of financial accountability from Missions Interlink. Information about the mission's finances can be obtained by contacting the office. Meet the Team from GRN Australia. Membership of the mission may be full-time or part time. The mission does not pay a regular salary, but does provide an allowance of up to half of a target support level. Members are expected to cover the other half, usually through a team of financial supporters. Gifts designated for the support of staff are receipted through the mission and passed on in full to the member at the end of the month. No administrative levy is taken out of this amount but some money may be paid into the member's superannuation fund. The Board of Directors receives no remuneration whatsoever. All gifts are receipted, acknowledged and used according to their designation. Undesignated gifts are put into the general fund. help with distribution and outreach programmes. We thank God for allowing us to contribute so significantly to the ministry worldwide. The balance of expenditure covers operations in Australia and by Australian staff overseas. Information about specific projects or funding needs is available on request. Information regarding donations of all kinds can be found on the following page: Donate to GRN Australia. God is the source of our provision and we give him the credit for it. Crucial to God's provision for our needs is our obedience to his directions and priorities. What God initiates, he will sustain. Prayer is the dominant strategy for the provision of our needs. We invite people to pray for God's provision for our needs. We do not make appeals for funds. This does not preclude making some needs known in appropriate ways and situations. Money is never the main focus of our promotion or deputation. We avoid any manipulative techniques that attempt to encourage people to give. GRN treats personal information with the utmost care and discretion. By submitting this form you agree to GRN using this information for the purpose of fulfilling your request. We will not use it for any other purpose, or divulge it to any other party except as necessary to meet your request. See the 隐私政策 for more information. Donate online to support GRN Australia - Visit this page to make a secure one-off donation or to set up a regular donation to support the ministry of GRN Australia.